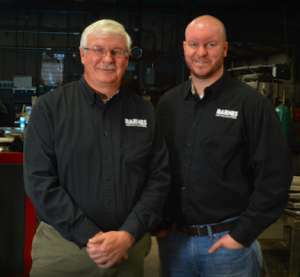 Barnes Metalcrafters has been in business for over 60 years and is known in Wilson and Eastern North Carolina for its quality custom fabrications. Electrical contractors call upon Barnes Metalcrafters to make electrical enclosures. Mechanical contractors use us for special transition, ventilation, ductwork, hoods, guards, and enclosures to name only a few. We now have a 4000 Watt Laser complimenting an Industrial Welding Robot to better serve our customers needs.